Valerie received her Bachelor of Arts degree in Speech and Hearing Sciences at The Ohio State University in 1999. She is a true Buckeye, and furthered her education by obtaining her Master of Arts degree from OSU in 2001. 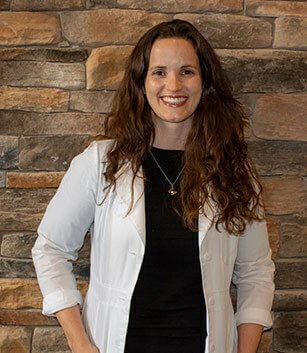 Valerie completed a graduate externship at the Dayton Children’s Hospital and then began her Clinical Fellowship Year at the Children’s Hospital of Michigan in Detroit. She has worked closely with Ear, Nose and Throat physicians since 2002 and has been a member of the DeVore Katz Michaelson ENT family since January 2009. She has maintained certification with the American Speech-Language-Hearing Association and licensure with the Ohio Board of Speech-Language-Pathology and Audiology since 2002. She obtained further certification with the American Board of Audiology in 2004.